The design expresses the elegant character of a modern workplace. The functional requirements blend a highly active environment with planning strategies that provide natural light and views throughout. The building serves as the home for the Buccini Pollin Group, a real estate developer, and EJ DeSeta, a metal fabrication company. The 100,000 SF building is split to reflect the two components of the program: metal fabrication workshop (75,000 SF) and office area (25,000 SF). The office building is elevated a full story, creating a covered parking area underneath and boldly asserting its presence toward the street intersection. 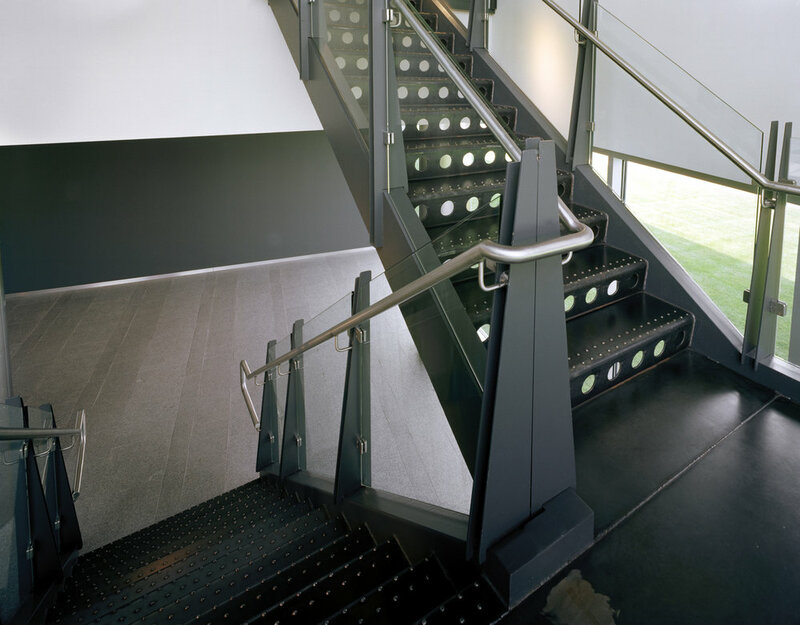 The offices are split in two levels; the lower houses the EJ DeSeta offices and connects via a bridge to a mezzanine level above the metal manufacturing shop. The third level houses the headquarter offices of the development group, The Buccini/Pollin Group.